Thank you to Chevron who worked with us this week creating Science challenges. 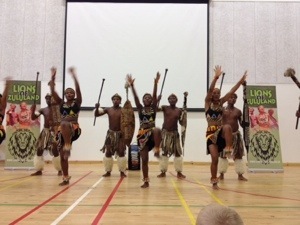 Thank you to the Lions of Zululand who brought their wonderful culture to Hazlehead. 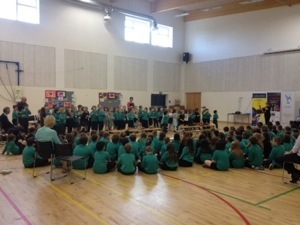 All the children watched a show and P4:5:6 took part in workshops. Many thanks to Our parent council who funded this brilliant Commonwealth opportunity. 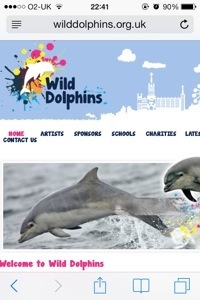 children involving designing a dolphin which will go on exhibition in our main central library. The children listened so well to a brilliant assembly from Lorna today. Ask them what they found out! Well done to all our pupils who took part in this great event. 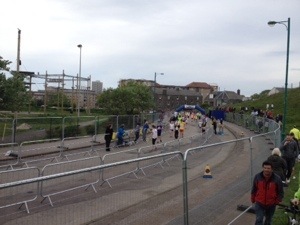 Well done to all our parents who ran in the 10k.Can we get a parents team and pupils team next year? 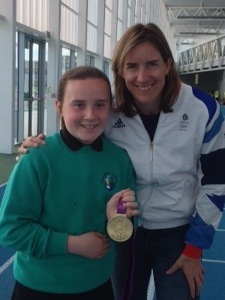 A pupil got to meet Olympian rower Katherine Grainger today at ASV. 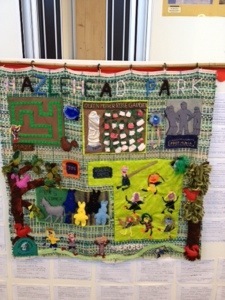 Primary 4 have been working with Mary Hunter to create this beautiful tapestry of a Hazlehead Park. It will hang in The Scottish Parliament later in the year.